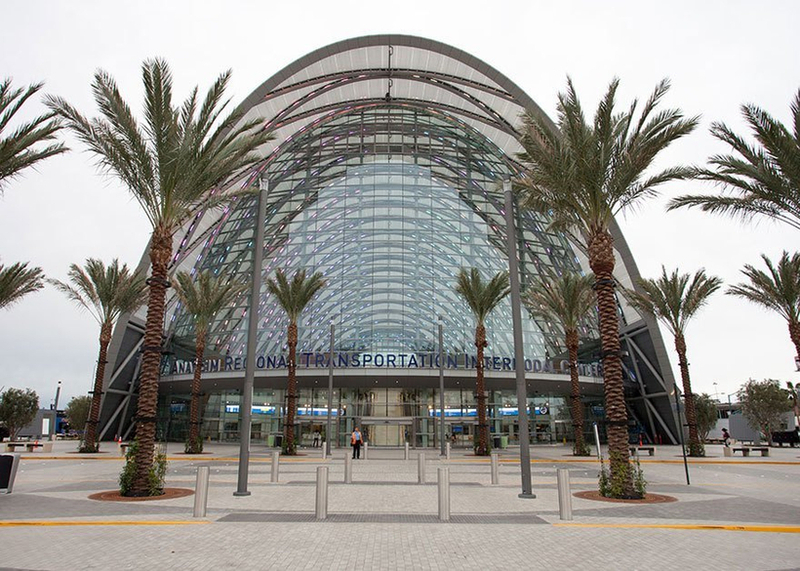 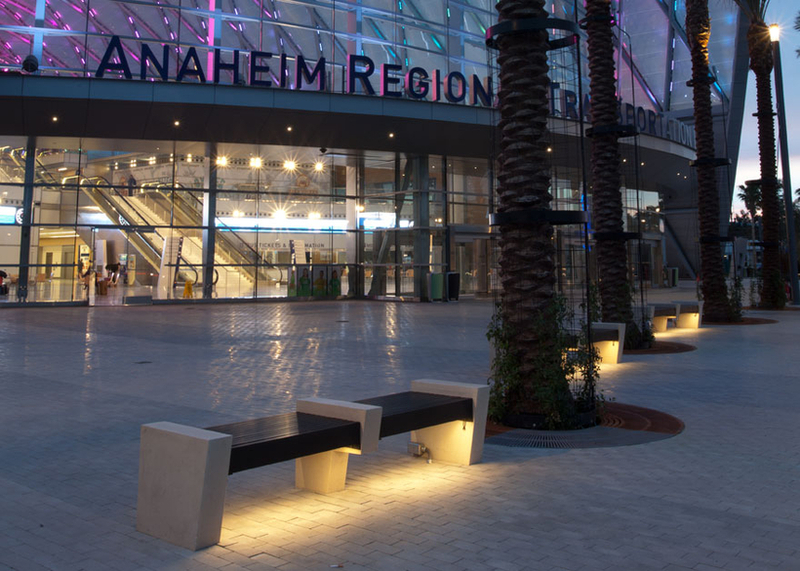 Canterbury fabricated 36 custom illuminated benches for the new ARTIC transit hub in Anaheim, CA - the gateway to Orange CountyÕs most exciting destinations. 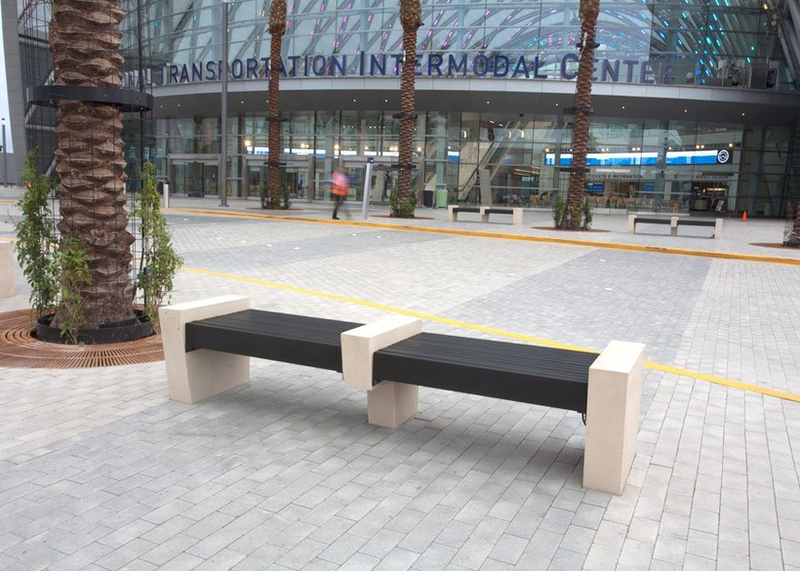 Constructed of precast concrete supports and 100% recycled, high-density paper composite seating, these benches are designed to withstand the rigors of ARTICÕs 40 million annual visitors -- and uphold the City of AnaheimÕs commitment to sustainable materials. 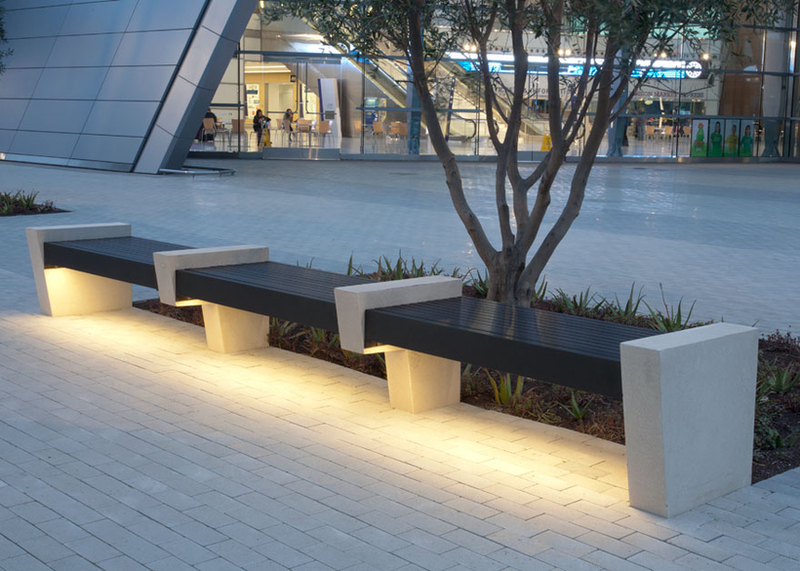 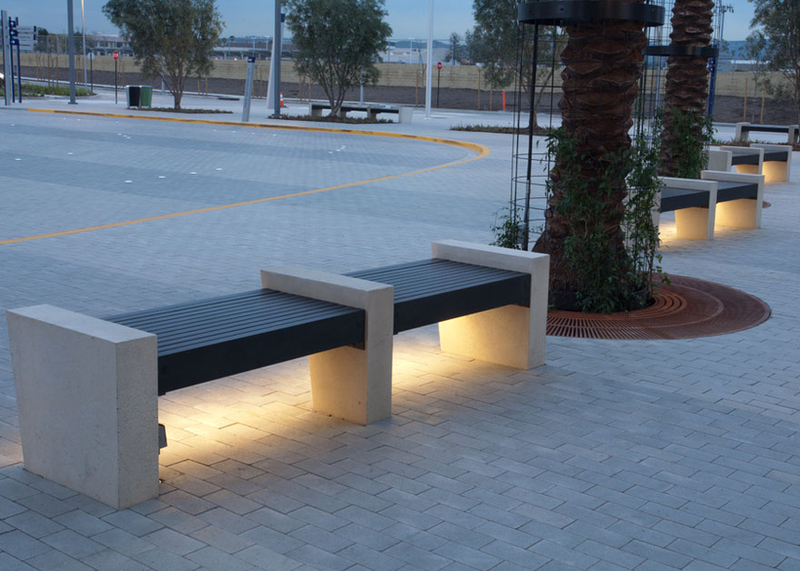 When the sun goes down, the benches light up the plaza with high efficiency LED lighting.